HIGH COR: The Speed Pocket, in conjunction with the highly sophisticated face design, pushes the COR right up to the USGA limit. FEEL: The Speed Pocket in in the 3-7 RocketBladez Irons is filled with a Polyurethane Reactive (PUR) made by 3M that keeps out debris and dampens unwanted vibration while still allowing the slot to flex at impact. CONSISTENCY: The Speed Pocket, in conjunction with an ultra-thin face and sophisticated new Inverted Cone design, promotes consistently higher ball speed and higher peak trajectory, especially on mis-hits low on the face, and a steep, soft-landing, quick-stopping approach angle. 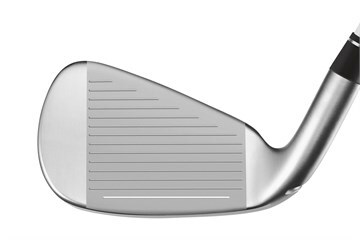 In addition, the new clubface design reduces directional dispersion to promote increased accuracy. My clubs were in excellent condition, used them for the first time today and most certainly getting extra yards on all of the irons. Found the clubs slightly heavier than previous but with a slightly slower swing worked well. Gained some extra distance. Found the clubs slightly heavier than my previous but with a slightly slower swing the clubs performed well. Gained more distance. 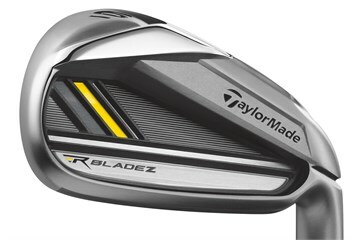 Received my Taylormade rocketbladez irons first thing yesterday morning, they were rated 8/10 and look practically new! Very pleased with the how quick the irons arrived and in with the condition they are in. Went to the range last night and they are simply perfect, the feel well built, offer more distance, they are easier to hit and they are forgiving on off center shops! Would highly recommend.